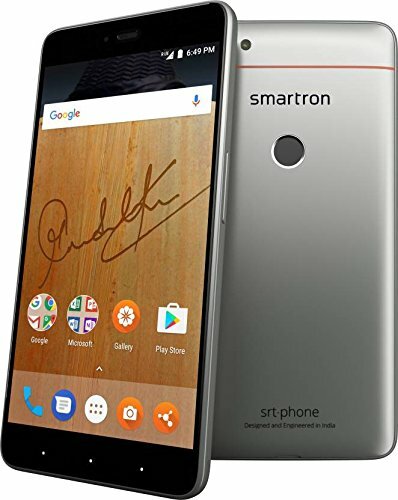 Great Cricket Legend Sachin Tendulkar and Smartron on 3rd May 2017, launched the srt phone. The phone is also known as the srt phone by Sachin. Sachin Tendulkar who is ambassador and investor of the smartron, unveil the srt.phone with a price range of ₹12k-₹13k. Talking about Smartron, it is an Indian based startup company having a global aim in the electronics segments. Here, srt stands for Sachin Ramesh Tendulkar. So now let’s discuss the price, features, full specification and competitors of the srt phone in the Indian market. Along with it, we will also look at srt phone’s pros, cons, and quick review. The srt phone by Sachin comes with a two variant i.e., 32 GB & 64 GB and both priced at Rs 12,999 and Rs 13,999 respectively. Now, this phone is available to India and will be loved by the people. 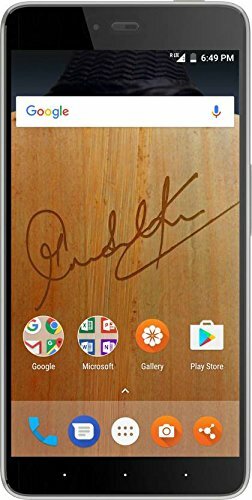 To gain attraction most from cricket fans the Smartron srt phone offers an extra ₹1500 off on exchange and free Sachin Tendulkar back covers worth Rs 599 featuring with the autograph of Sachin Tendulkar. No cost EMI for srt phone starts at Rs 1167/month. Also, the users will get 1-year extended warranty worth Rs 1,499, for free with srt.phone. This smartron device is going to heat up the segment of the mid-range smartphones. It is going to give a tough competition to Redmi Note 4, Honor 6x & Moto G5 Plus, who are already rocking in this segment. Fast, & Responsive 360° Fingerprint recognition. Phone performs like Master Blaster Sachin Tendulkar. Faster & Timely update to the system. Best in Class Antenna for ensuring lower call drop rates. Best drop test results in the mid-range category. The srt phone is loaded with 13MP Rear & 5MP Front camera. It is powered by Qualcomm Snapdragon 625 processor along with 4GB of RAM & 32/64GB of internal storage. The company has compromised in the term of microSD because the company provides no microSD slot but also provides unlimited cloud storage. The srt phone by Sachin is running on stock Android over a 5.5 Inch screen with 1080p resolution, having all Angle IPS screen (~401ppi). This dual SIM handset houses the Qualcomm Snapdragon 625 octa-core processor (4 x Cortex-A72 cores clocked at 1.8GHz, & 4 x Cortex-A53 cores clocked at 1.44GHz), & coupled with Adreno 510 GPU. It has a light body with a plastic back panel. The device is backed by a 3,000mAh battery which supports Qualcomm 2.0 Quick Charging. It also has a USB Type-C charging. Capable of 4K UHD Video Recording. Good news for Indian those who loves Indian brand. Unlimited Cloud Storage using tcloud. 4GB RAM on both variant. Screen is protected by Gorilla Glass 3. The company promises to give update of android O. Good Placement of sound grill i.e., at the bottom. It gets Heat up to 48°c while playing heavy game. Poor Placement of Power Button i.e., on the top. The camera captured images are not with balanced color. The camera struggles in Low light situations. Battery is not upto the mark. New smartphone company, so less service center across India. We hope You would find our post helpful either Yes or No, share your thought in the comment box as we love your comment. Also, If we have missed a favorite resource of yours, please add it below in the comments. We love looking up new avenues of inspiration from you. We appreciate your beautiful response to our post. We would keep doing like this and always try to remain on the top of your trust. Informative post….presented in a nice way.. Happy to hear such beautiful words from you.